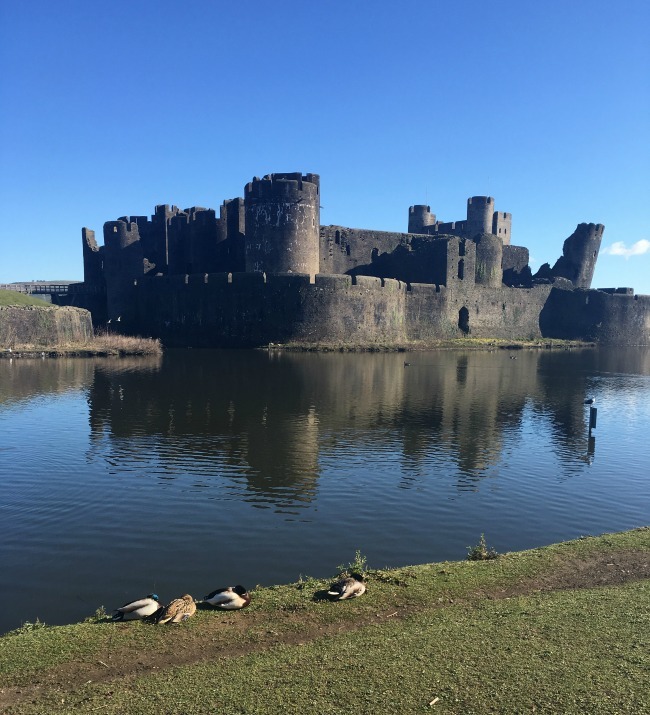 #MySundayPhoto Number 14 this week is of Caerphilly Castle. The sun was shining and we had recently bought a CADW membership so the three of us went to see the castle. The castle is magnificent and well worth a visit. As an added bonus there is a promotion called Dare To Meet The Dragon. Until 1st July there is a smoke bellowing dragon in the grounds of Caerphilly Castle. Would We Dare To Meet the Dragon at Caerphilly Castle? Would you be brave enough? Amazing photo. I love castles and my daughter loves Dragons. So yes, we'd dare to go if we could. We love them too. This is an amazing castle. This looks like a glorious castle. We love visiting and exploring castles. Goodness, it really does look magnificent. I always think Norwich Castle looks unnaturally welcoming whereas this is how I imagine a castle should be :) I was so taken with it I almost didn't notice the poor ducks. Great photo. Thankyou, yes we really enjoyed it. Beautiful castle - the reflections on the water and the gorgeous sky make it even more lovely. Great shot. Thankyou. I will certainly link up next week. I love Caerphilly Castle, ever since we lived there. I'm dying to bring BattleKid to see the dragon! Love the reflections and the ripples ... and such a beautiful sky too. Fabulous capture. I really need to go and see the dragon there - it looks fabulous! What a stunning blue sky, the castle looks amazing. What a super photo :) & yes I'd love to meet a dragon! this brings back some memories. we visited there many years ago, and had fun watching the jousting and the falconry. it was wonderful. great shot!